The truth is that the Ontario manufacturing industry has the potential to drive the Ontario economy, like it did in the eighties. But the industry does face some hurdles. The main barrier to the manufacturing industry in Ontario is it lacks the qualified personnel to introduce new technologies to. A further barrier is when the industry offers to train old employees in new technologies, but those employees are resistant to the change. So how do you stay employable and attractive to employers in this industry? There are plenty of well-paying, stable jobs in manufacturing, and the work is more exciting than ever, especially if you’re open to learning new things and working on skills development. So what can you do if you’re interested in working in manufacturing and want to be the most desirable candidate you can be? 1. Make sure to look forward. If employers see you taking an interest in where manufacturing technology is going, rather than where it’s been, not only will you not be replaced by digital automation, you’ll be an indispensable part of guiding those automated processes. The best way to remain a valued candidate in the world of manufacturing (and, indeed, in most industries right now) is to be open to change. Change can be unnerving and stressful, and in a time of rapid technological change we are all affected in some ways. Acceptance of change isn’t always easy, especially when you’re used to doing a task a certain way, but being open to change in technology is a solid first step. 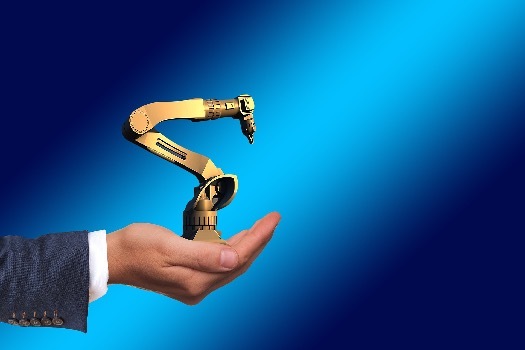 When you are open to such technological change as advanced robotics, AI, and new applications, you may soon find yourself enjoying the way certain tasks are performed more efficiently. You’ll find this openness to learning new things will make you an indispensable part of any manufacturing crew. New technologies create new opportunities. If you develop expertise in a new technology where there are few others, not only will you become better at your job and therefore more valuable in the eyes of an employer, but you will also be able to teach others in the technology, cementing your value to the company. What’s so special about manufacturing in eastern Ontario? Learn about the quality of life in eastern Ontario and what to expect from the region when you come to work here.